If you remember from my last blog post I mentioned that I've been playing around recently with some essential oils. 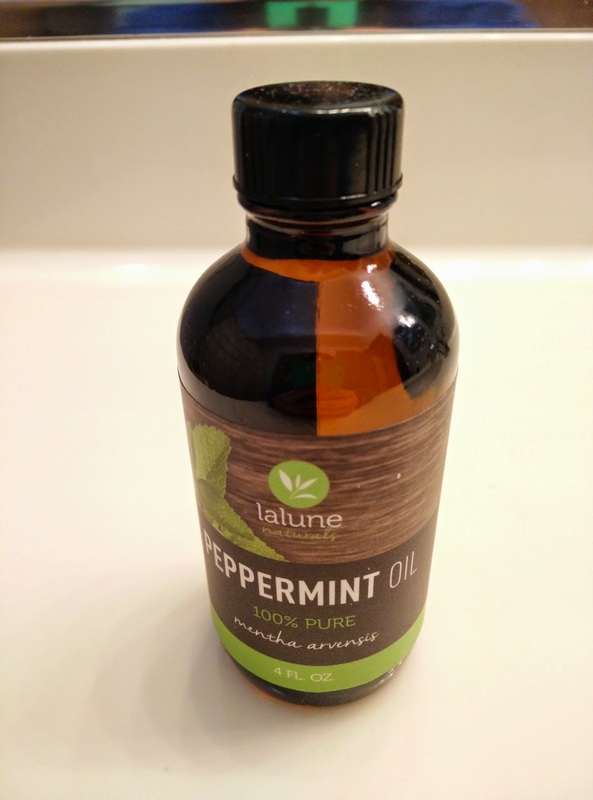 One of the scents I've been working with is this Peppermint Essential Oil by La Lune Naturals. This is a 100% pure and natural therapeutic grade essential oil. It's packaged in the United States and the company adds no fillers/additives. Shipping is fast especially if you order through Amazon Prime. You can also order directly from their website: La Lune Naturals. You get a 4 fluid ounce glass bottle with a high quality glass dropper. The company also emails you a PDF of different ways you can use your peppermint oil. I used mine in a few ways. #1: soaked it into some bath salts to enjoy a nice relaxing bath. We are getting ready to sell our house and it can be quite hectic. This peppermint oil was a nice addition. The second way I used my peppermint oil was something I had been wanting to try for quite a while. I put a few drops onto the inside of oil toilet paper rolls, letting it soak into the cardboard. Every time someone uses the toilet paper our bathroom smells amazingly minty! (Please note to only add a drop or two. . . if the oils soak through to the toilet paper it may cause irritation. . . remember it is 100% therapeutic grade). Want one of your own? It is available on Amazon for only $14.99 or you can try to win through a contest on my facebook page! I've been playing around recently with some essential oils. 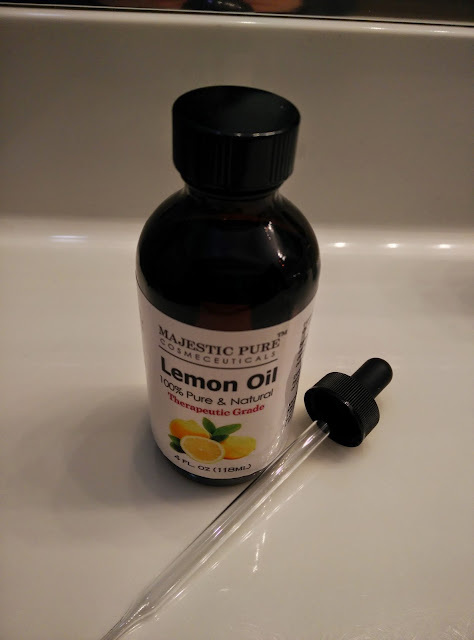 One of the scents I've been working with is this Lemon Essential Oil by Majestic Pure Cosmeceuticals. This is a 100% pure and natural therapeutic grade essential oil. Meaning, you should mix it with some carrier oils if you plan on using it anywhere near your skin. For the purposes of this review however, I stuck to non-skin contact. 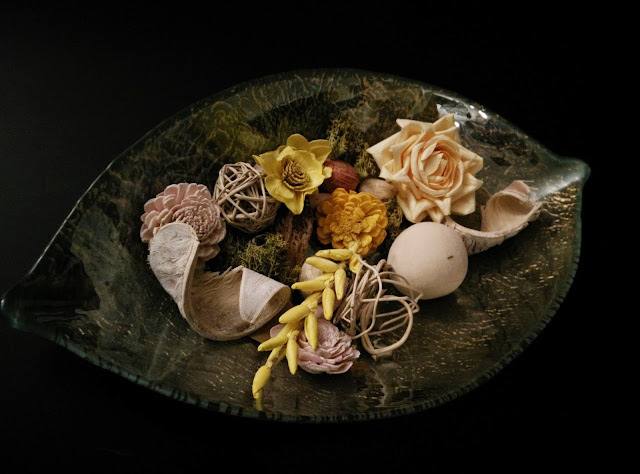 One of the things I tried out was adding a little scent booster to some potpourri that had needed a little help due to faded smell. This worked fabulously and made my whole house smell like lemon. Be advised to only use a few drops though. They go a long way and are pretty potent! Smelled nice and "clean" though! I also dropped a few drops into my garbage disposal to freshen it up. There are many other uses you can use this essential oil for: cleaning, mixing in with bath salts, soap making etc. The possibilities are endless!